Allison works with her team at Wheatland Realty to ensure that her buyers and sellers receive stress-free and seamless transactions. From listing at the right price to making the best offer, she will walk with her clients every step of the way. She knows buying and selling a home is a big decision, and her job is to make it as successful as possible. She truly believes that honesty is the best policy and will be upfront and transparent through the entire process. Real estate is multifaceted, which is what drew her to this career. She truly enjoys being challenged and thrives in her desire to satisfy her clients’ real estate needs. She is constantly educating herself on the ever-changing real estate market to serve you with the most current information available. Allison is a sincere, engaging communicator who loves spending time with people, so whether it is a first-time home buyer, a couple working to downsize, or any other real estate transaction, she will treat each client as if they were her own family. A mother of four, Allison has lived and worked in the southwest suburbs for over twenty years. 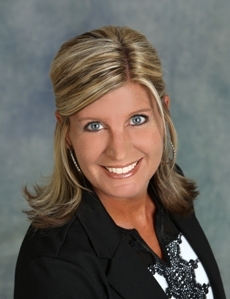 She is a “Neighborhood Specialist” and familiar with local communities, home values, and price trends. Allison currently lives in Plainfield where she works hard to keep up with three active kids. When she has down time, she enjoys scrap-booking, discovering new restaurants, being involved in her local church and spending time with family and friends.